Finns are usually described as reserved, quiet and introverted. But wait until you get to know them: you will find them warm, sincere, and hospitable with a great sense of humor! People from Finland are very punctual and appreciate other people being the same. They value honest and open communication, so your Finnish au pair will be comfortable discussing any issues or concerns directly with you. Most Finnish parents work full time, but spend a lot of time in the evenings and on weekends with their children, taking them to different hobbies and helping with homework. Since both parents work outside the home, children learn to become independent at an early stage which means you can expect your au pair from Finland to be used to doing household chores, preparing meals, etc. Families have on average 2-3 children, so your Finnish au pair will most likely have siblings. At EurAupair, we've been connecting host families like yours with exceptionally well-qualified au pair candidates for three decades. We're confident that you'll have an outstanding experience with one of our Finnish au pairs. The population of Finland is just 5.51 million. To put that in perspective, it's less than the population of New York City. The population has grown very slowly over recent years, though there's a small but notable influx of immigrants. The top languages spoken in Finland are Finnish and Swedish. A great number of Finnish people want to be au pairs because they want to experience life in the United States. 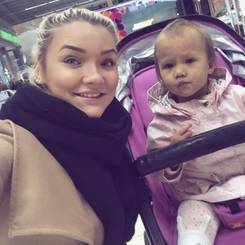 Finnish au pairs see a greater number of job opportunities upon returning home. Kids in Finland are independent and trusted by their parents, and au pairs are used to having time on their own. In Finland, parents have access to free daycare for children age eight months to five years, so you can expect your au pair to have child care experience through working at a daycare center or kindergarten, in addition to babysitting her neighbor’s children, cousins or younger siblings. Some au pairs from Finland might also have experience as a camp counselor during holiday or church camps. Very often, young people in Finland sharpen their skills with children by leading groups of them from a young age. For instance, they might coach a youth soccer team or volunteer at a nearby camp. 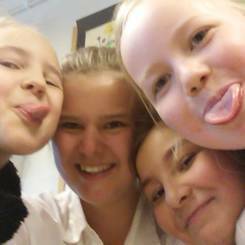 This activity gives Finnish-speaking au pairs practical experience with kids that they can draw on when they're caring for your children. In order to obtain your driver’s license in Finland, one needs to have acquired a minimum amount of instructed driving in addition to theory lessons. After passing a theoretical and driving exam, people of at least 18 years of age will be allowed to drive. Of course, your Finnish au pair will also be used to driving in challenging weather conditions such as heavy rain, snow or hail. Of course, it is always recommended that you discuss your driving needs when interviewing au pairs. The Finnish school system is renowned for its high academic standards and results. With English being a mandatory subject starting at elementary school, Finns usually have very good English skills; in fact, they are amongst the best English speakers in Europe. Your Finnish au pair might also be able to speak Swedish fluently, as it is the second official language in Finland. Sports are an important facet of education as well. Many Finns enjoy outdoor activities such as skiing and ice skating. Because of the long daytimes during the summer, they can spend a great deal of time outside, enjoying nature. This common interest sparks many lessons, and teachers often incorporate the outdoors and physical education into their curriculum. On Finnish TV, programs are shown in their original language. Many Finnish children watch English television shows and movies and learn dialect and pronunciation from these examples. Of course, knowing how to speak the language and doing it in a live setting are two different things, and your au pair may need some encouragement to display their English skills. Finns may be shy the first time they meet someone. It helps to engage them by talking about things they feel comfortable with and show enthusiasm for, such as sports and nature. The majority of residents in Finland are Christian, including many Protestants. A large number are atheist, while a small minority practice Islam or Hinduism. Finnish cuisine largely mirrors that of other Scandinavian countries. It relies on common ingredients such as berries, seafood and buttermilk as well as rye and barley. It's not unusual for Finns to eat reindeer too, for protein. Because of the harsh weather in Finland, the country imports a lot of its food rather than growing it. As a host family, you'll love getting to know your au pair and learning more about Finnish culture and its traditions. Are you ready to welcome a Finnish au pair into your home? Contact us to begin the application process and start this valuable cultural exchange.